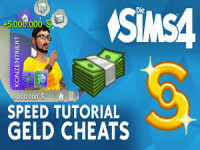 Sims 4 Cheats - AllCheats - Get your cheats back! I believe we should be able to use any cheats that exist as long as we accept the risk. 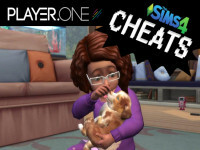 This mod re-enables all cheats found in the game code, including debug and those cheats that the guru's removed, like resetsim, sims.remove_all_buffs and sims.add_buff. 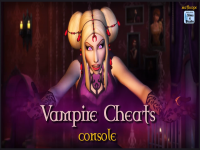 It also redirects all output to the cheat console, which helps when trying to figure out why a cheat didn't work or what the available options are. 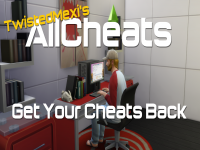 NOTE: Please assume responsibility when using cheats. The guru's shouldn't have to support filesaves that may be corrupted or bugged by the use of cheats. Open the download and drop the ts4script file directly into your Mods folder. This is a script mod so please make sure both "Mods" and "Script Mods" are enabled in your Gameplay Options -> "Other" tab. If my mod doesn't show up in the list of custom content on game startup, it's not installed correctly or those options are disabled! 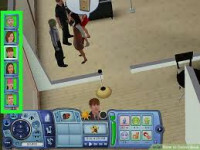 Once installed, simply use the cheats as you used to, no other steps required!